An interview with Tim Strassmaier and James Constantin, Nanion Technologies, conducted at SfN 2018 by Alina Shrourou, BSc. Could you give our readers a bit of general background as to what ion channels are of interest to neuroscience research? It's almost more suitable to ask "What ion channels are not of interest in neuroscience research?". For example, cardiac channels are only in the heart. Some of the real highlights are some of the peripherally restricted voltage-gated sodium channels (NaV channels) that have genetic links to pain syndromes. I'd say everything involved in a neuron innervation, so sodium, potassium, and calcium channels are of big interest. 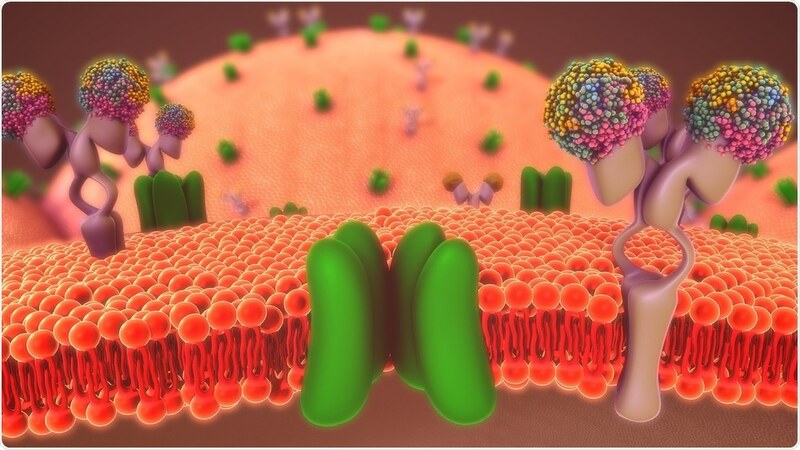 However, sodium channels are a huge pain target in the peripheral nervous system, so that probably the biggest target for our customers right now. We presented on NaV1.8 and NaV1.9, which are the TTX resistant sodium channels that are expressed in the dorsal root ganglion neurons involved in pain sensation. These have proved to be a tricky target to approach because they do not express well in heterologous systems. We've partnered with a couple of companies, such as SB Drug Discovery, Millecor, and Icagen. They have succeeded in generating cell lines that give you a robust expression of these channels and our poster shows recordings of these ion channels on our high throughput patch clamp systems. Using these instruments, the ion channels display biophysical and pharmacological properties that you would expect based on conventional patch clamp measurements and the experiments are amiable to high throughput screening. What patch clamp technology did you use for this research? All our patch clamp technology is automated, so all you need is a suspension of cells and the machine does the rest. We have three varieties; one that does one cell at a time, one that will do eight cells at a time, and one that is a high throughput of 384 or even 768 cells at a time. That's the one that we're really highlighting for this work because high throughput patch clamp can be used if you're screening for new drugs or drug candidates for these ion channels. Are there any other Life Science applications of Nanion products? CardioExcyte is a platform that measures the electrical activity of intact layers of cardiomyocytes. It also makes impedance measures, so it can be sensing the contractility of these cells while they’re beating, and it measures extracellular field potential, which is a representation of the cardiac action potential. It's immensely important for studying toxicology, and it's been part of one are of the FDA's CIPA initiatives for in vitro proarrhythmia. What do you hope to bring the neuroscience research community by presenting these posters at Neuroscience 2018? We want to let scientists know that we have the products that we have, products that they may think don't exist, meeting the unmet needs of existing, future and potential customers. We have been working hard recording neuronal ion channels and important in conditions such as chronic pain, and indeed recording from stem cell-derived neurons using high throughput patch clamp so that researchers in the field of neuroscience can further their own research. Nanion provide innovative, high performance instrumentation that enable scientists and researchers to analyze ion channels, electrogenic transporters and excitable cells. Their team of scientists and engineers is committed to constant development and improvement of products to meet customers needs. Nanion's goal is to provide best-in-class products and customer service to enable worldwide use of their instruments in academic and industrial laboratories to advance scientific discovery and drug development in the fields of safety pharmacology, toxicology and efficacy.